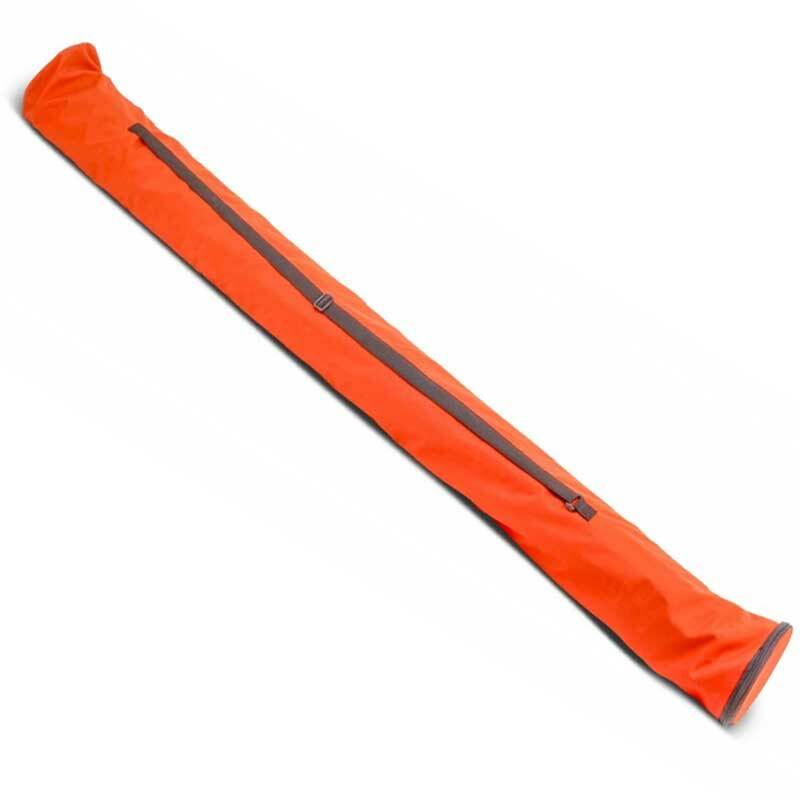 The delivery consists of 12 slalom poles, 6 training/hurdle poles, 12 clips and 1 carry bag. 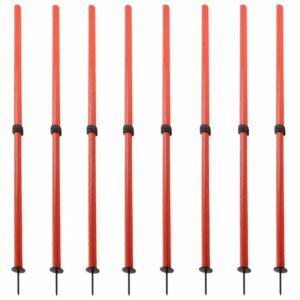 six training/hurdle poles of 100 cm and twelve connection clips for outdoor training. 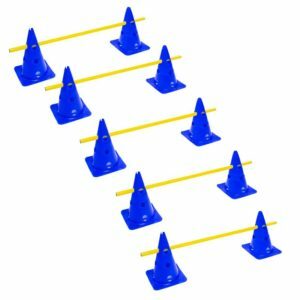 The set allows a versatile coordination training. 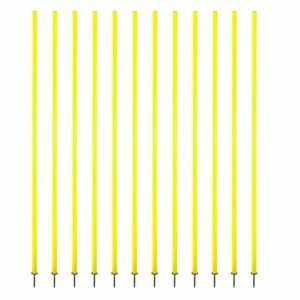 The slalom poles have a metal tip/spike, with which they can be inserted into the ground. 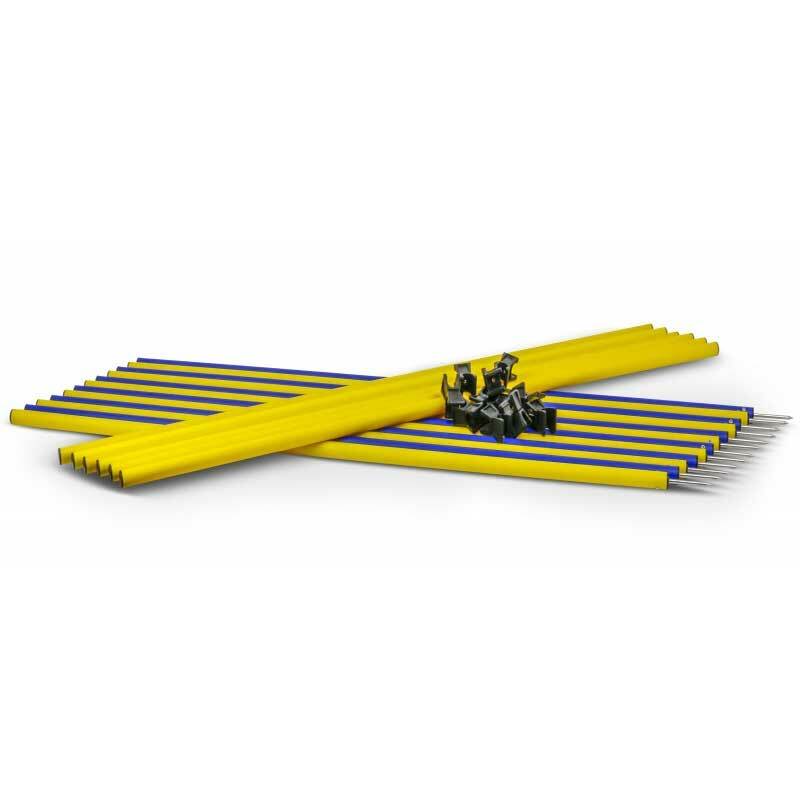 The training poles can be attached, with the help of the clips, up to a height of about 160 cm for an advanced high jumping training. Thanks to the included carrying case, the set is also easy to transport and store. 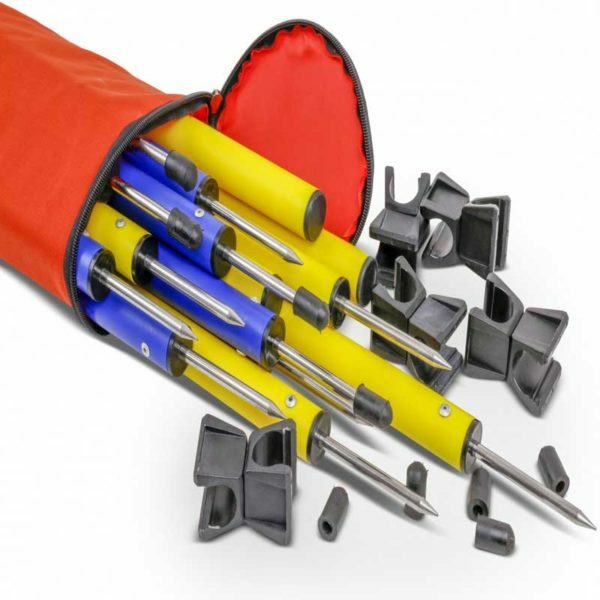 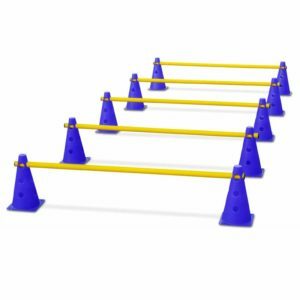 In addition, this set is compatible with all training/hurdle-pole-systems and cones with pole mounting holes of Sport&More. 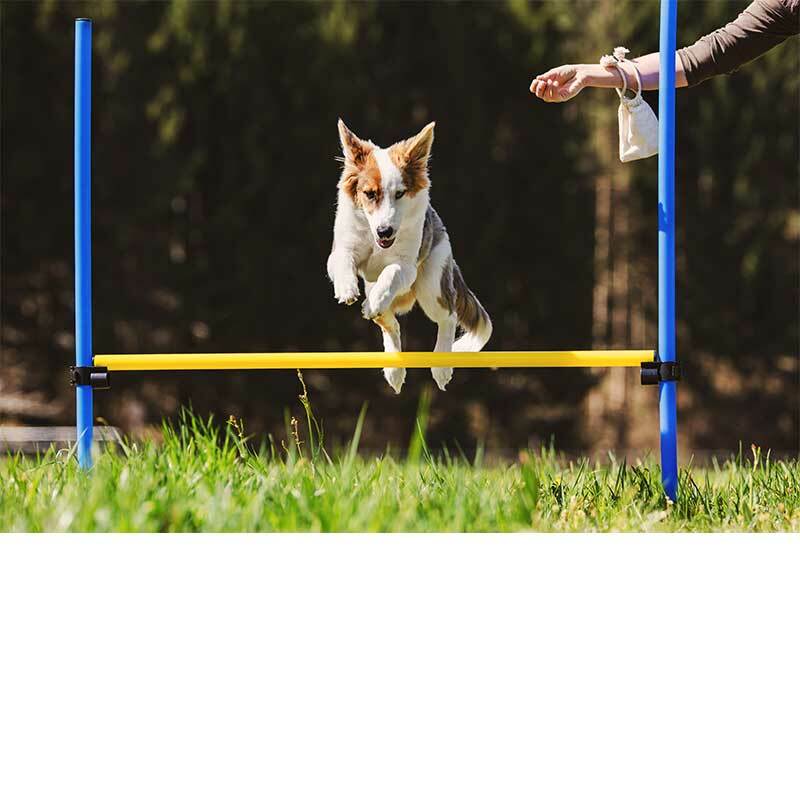 This set is very popular for school and club sports and also for the agility training with dogs.